Less than 24 hours after the Department of Justice’s (DOJ) inspector general (IG) released a long-awaited report on the department’s investigation into Hillary Clinton’s use of a private email server, President Donald Trump’s allies in the media are already using the report to call for special counsel Robert Mueller’s removal. The IG report clearly states that its investigation “found no evidence that the conclusions by department prosecutors were affected by bias or other improper considerations”; and yet, the president’s sycophants in right-wing media are spinning the report to claim  that “anything that Mueller is doing” in his probe of the Trump campaign’s ties to Russia “is tainted” by the IG’s findings. 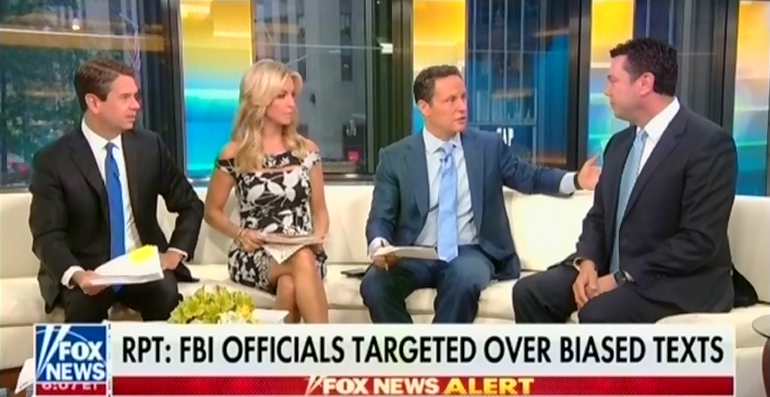 The reaction from Trump’s sycophants in conservative media is unsurprising, considering that they preemptively laid the groundwork  to discredit the IG’s report. But, even as conservative media continue their convoluted and disingenuous calls for Mueller’s removal, the special counsel’s investigation continues, racking up numerous  indictments, one of which resulted in Trump’s former campaign manager having his bail revoked , landing him in federal prison until his trial.